Our Story — Brass Tacks Coffee Co.
Brass Tacks Coffee was born inside our flagship cafe, Spring Park Coffee. Spring Park Coffee, inspired by the historic spring located in Green Cove Springs along the St. John's river, was opened late 2011. 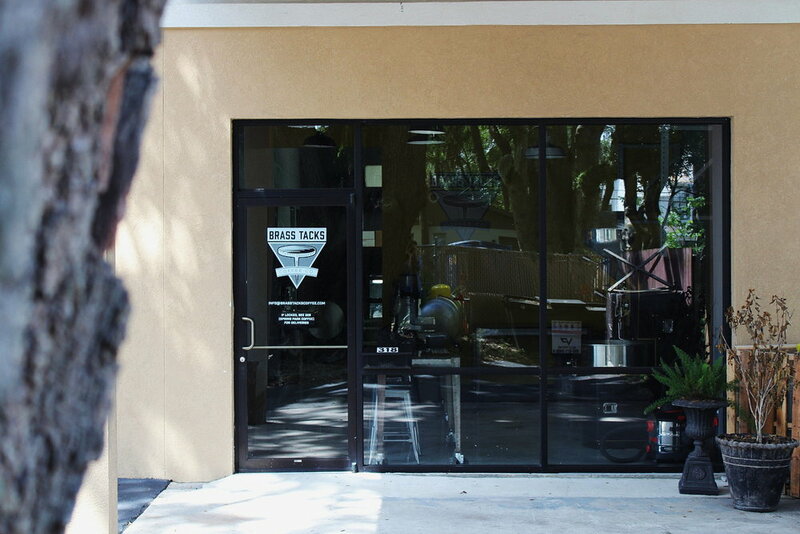 Early 2013 we bought a little roaster and started roasting for our Green Cove Springs cafe. Since then we have grown and improved a lot, but we have never lost sight of our original mission, to make great coffee more accessible. How do you make great coffee more accessible? For starters, you have to have friendly and approachable cafes and baristas. Second, you must follow that up with interesting and easy going menus and atmospheres. We have never lost sight of why we started roasting and serving coffee here in the most beautiful setting on the First Coast. Even though we love coffee very much, we don't make coffee for ourselves, we make it for you.